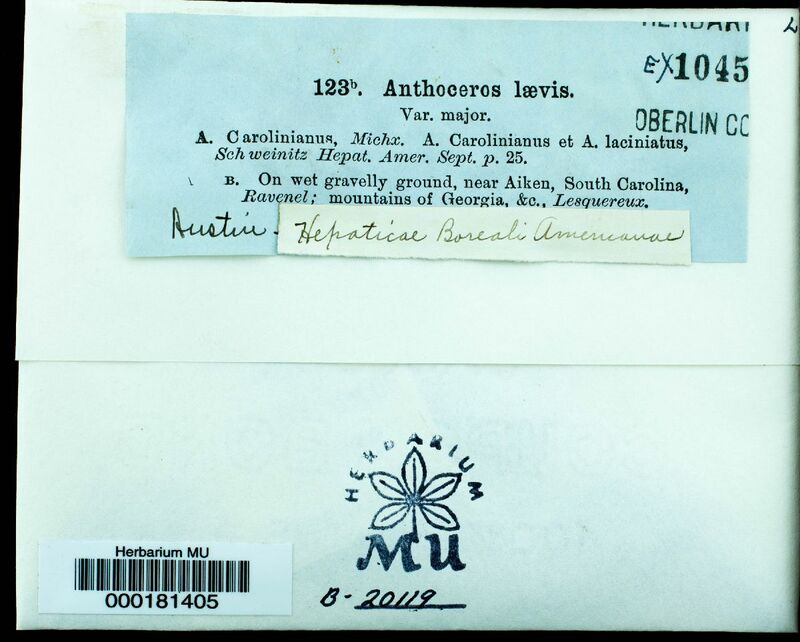 H. W. Ravenel #s. n.
Phaeoceros laevis ssp. 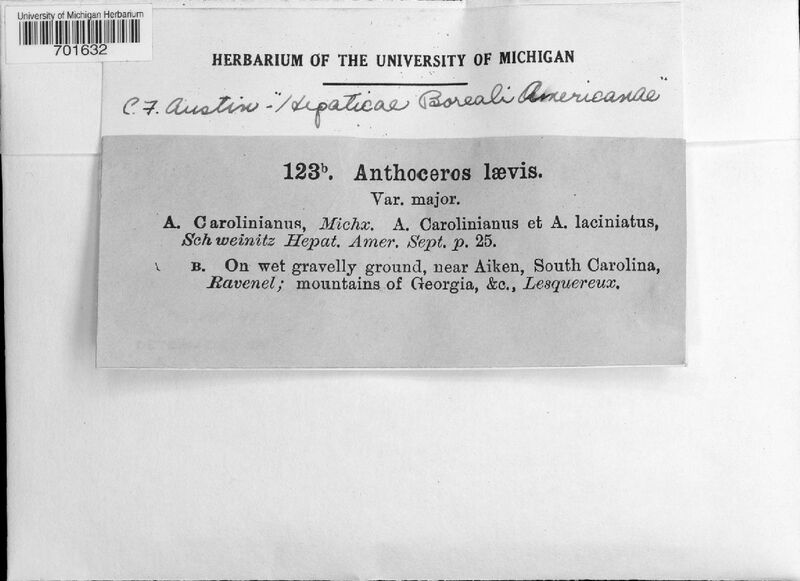 laevis (L.) Prosk. United States, near Aiken, South Carolina, (Ravenel); mountains of Georgia, &c.s (Lesquereux).